The Watford Palace Theatre opened on 14th December 1908. 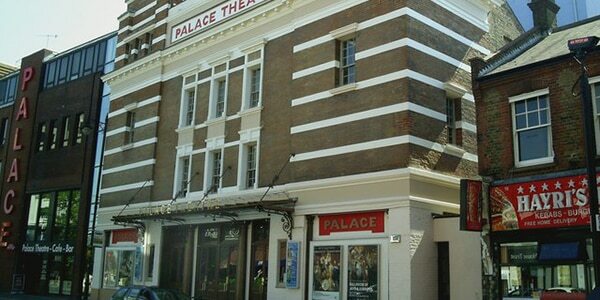 Originally producing variety shows and plays from other theatre, the Palace has become a creative hub for Watford, hosting theatre, film screenings, touring productions, children’s theatre, and new writing. The theatre briefly closed for an £8.8 million refurbishment, re-opening in September 2004. It also offers a Youth Theatre programme for people aged 5-14, one-off community events, a community choir, and a knitting circle, as well as discount tickets for 16-25 year-olds. The theatre, maintaining its Edwardian appearance (even after the refurbishment), seats 600 and is Grade II listed.